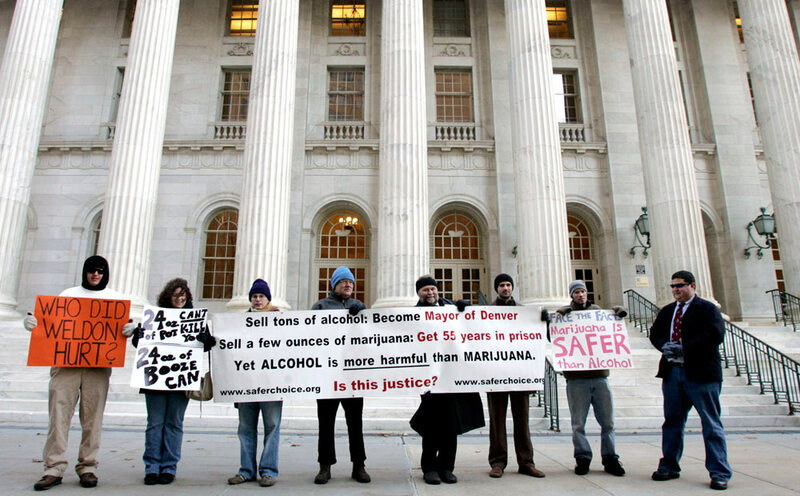 SALT LAKE CITY — A Utah music producer who was ordered to 55 years behind bars for bringing guns to marijuana deals has been set free, after 12 years in prison and national outcry over the mandatory minimum sentencing laws that forced a federal judge to impose the lengthy term. Weldon Angelos, 36, was freed Tuesday. He says he kept his release quiet for a few days because he wanted to spend time with his three teenage children, who were much younger when he was sentenced in 2004 at 24. His lawyer says the prosecutor who charged Angelos was eventually crucial in getting his release. Former federal judge Paul Cassell said he was troubled by the 55-year sentence he was required to hand down. Cassell, now a law professor, sent a letter to President Barack Obama in February asking him to commute Angelos’ sentence. It echoed a similar effort in 2013, when more than 100 high-profile figures petitioned the White House, including an ex-FBI director, prosecutors and celebrities. In the end, it wasn’t Obama that granted clemency. Angelos’ lawyer, Mark W. Osler, told The Washington Post that the move for release came from the Salt Lake City prosecutor who charged Angelos in the case. A spokeswoman for the U.S. Attorney’s Office in Utah didn’t immediately respond Saturday to a request for comment. Meanwhile, Angelos said he’s making up lost time with his family and is not sure about his next steps.